We purchased two books for filing of documents that will be about 140 mm thick in total. Because it was a binding thickness of 80 mm, it should have made a gap of about 10 mm if divided into two volumes, but it would be perfect if it was actually binding. By filing, it seems that the thickness of the paper around the binding hole will be slightly. Therefore, it seems to be more bloated than the thickness of the paper before the file. It seems that it is better to choose the thing of about +20 mm of pure height of a document for binding thickness. This review is about item#34854023. I bought it for ordering the work daily report of the factory. I am saved because of this large capacity because I have to spell multiple sheets every day. This review is about item#34853996. It is easy to use compared with other manufacturers. I think the design is very good. This review is about item#34854032. It is a manufacturer of stability, there is no problem in use at all. Delivery is also early and it is saved. It is solid, durable and easy to use, and it can be reused after several years. It was usability as expected. It was good. It was saved. This review is about item#6417555. We are satisfied with all prompt response, quick delivery. The document I will clear up quickly. I think that it is good to make the file itself, but the number of documents that can be filed almost did not change even though I bought a wider 1 cm wider than the file I am currently using. I'm sorry. This review is about item#34854014. I used a file of Monotaro brand, but since it was discontinued, I purchased this file as an equivalent item. I would appreciate it if the price goes down further. This review is about item#34854041. A safe King Jim. There is no complaint. All in-house document management is here. It is a compulsory item to accurately organize. Price and performance are satisfactory. Sturdy and simple is the best! ! This review is about item#34854057. 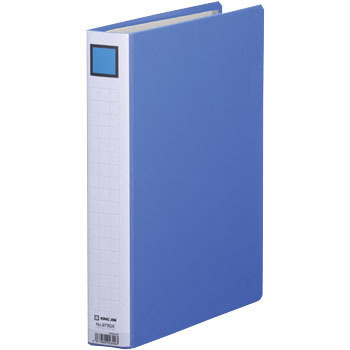 In the past, if you keep standing up with a daily report stored, when you take out the binder There was something inconvenient, because the daily report diverged, but this file is sturdy and can not be removed so it is saved. Normal work uses gray. I wanted to distinguish important documents by different colors to file. It is convenient because you can understand the difference at a glance with black. This review is about item#34854005. Up to now I have used double-opening, but as the number of files increases, I have shifted to a cheaper one as much as there is not much meaning to double-open. It is easy to use together with double-opening. It is usable without problems. Making is solid and it looks good even if you keep it in a glass archive! I would like to buy more in the future. I have been using this file for more than 10 years. It is strong and it is good. There are also variations on the number of files and it is easy to use. I think that it would be better if you would make it easier to insert the spine. This review is about item#06417555. · It is suitable size for use. · It is not inferior to others.